“Greek” dancing with flower girls at my wedding. My 15-year-old daughter provides excellent material to write about: our conversations border on being totally unmanageable. She tops me with one-liners over and over and I just try to hang in there. Here’s a recap of some of our conversations from this weekend. 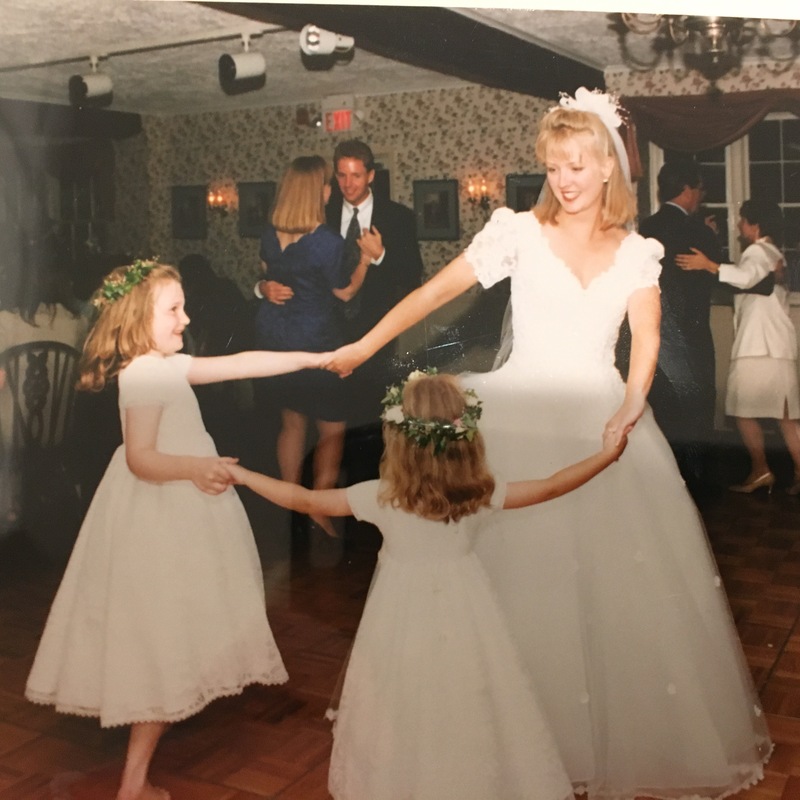 This entry was posted in Exercise, Family, Lifestyle and tagged daughters, greek dancing, kalamatiana, motherhood on April 26, 2016 by jennifernastu. As an adult in today’s world, and one who spends a fair (though not obscene) amount of time on social media, I have absorbed enough self-help phrases and 12-step slogans and feel-good mantras to last me this lifetime and at least much of my next (although maybe I’ll be evolved enough by then that I won’t need them). This entry was posted in Being a MAW, Lifestyle, Uncategorized and tagged happiness, lifestyle, middleaged, motherhood, UP on April 19, 2016 by jennifernastu. As middleaged women, we tend to have too much to do and to think about and to accomplish and to answer, and not enough time to meditate and sing and space out. I solve this problem, sometimes, by going for aimless drives in the foothills behind our town, giving myself space in my head to dream of everything or nothing. When the kids were little, I’d bring them on long rides with me, usually around sunset. We’d listen to music and they’d conk out. Then, if Paul and I were very careful and very lucky, we could transfer the kids to their beds without waking them and have an entire evening of grown-up time together. This entry was posted in Being a MAW, Family and tagged children, middleaged, motherhood, woman on April 17, 2016 by jennifernastu. This entry was posted in Being a MAW, Family, Lifestyle, Uncategorized and tagged middleaged, motherhood, Newsies on April 11, 2016 by jennifernastu. Ever find yourself so mixed up, emotionally, when with your kids that you’d like to unzip your skin and step quietly away rather than feel any more feelings? Of course you have. This type of emotional imbalance is just part of a mother’s world, I guess – and the ability to cause that imbalance is one of the tools our kids employ to drive us nuts while simultaneously filling us with feelings of love. If they didn’t fill us with so much joy, even during their most rotten moments, we would have no reason not to stab them with a gardening fork. So it is actually a survival skill of theirs. This entry was posted in Being a MAW, Family, In Pursuit of Passion, Lifestyle, Uncategorized and tagged Broadway, middleaged, motherhood, mothering on April 10, 2016 by jennifernastu.